Uber named Ramit Kar, left, its general manager for Uber Western Canada on April 10. 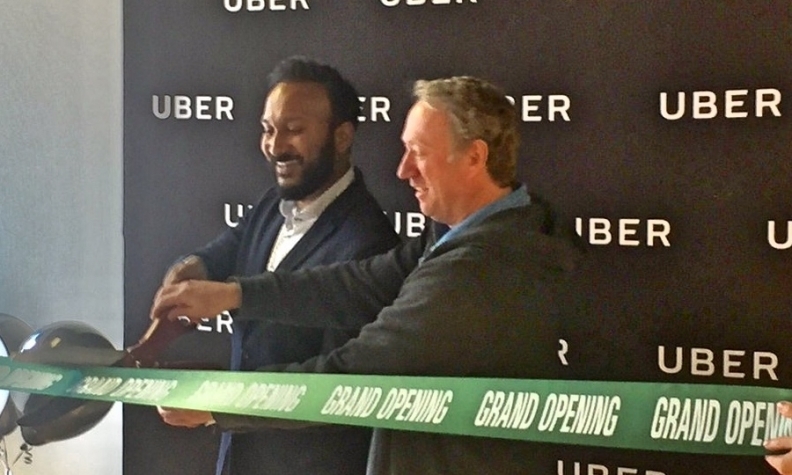 Uber named Ramit Kar its general manager for Uber Western Canada, April 10, as it officially opened a new office and launched UberSelect services in Calgary. The new Calgary office, called the Green Light Hub, will allow Uber staff, drivers and riders a more centralized and convenient way to register or receive support. The office will employ six people. UberSelect is luxury service for riders, offering the option of riding in higher-end vehicles such as BMW, Mercedes, Audi and Tesla at a cost slightly higher than that of standard Uber service. The service is already available in Toronto and Edmonton. “We’re hearing that Calgarians want this as well, and so we’re giving it a shot here,” Kar told News Talk 770 in Calgary. There are now more than 70,000 people in Calgary using Uber's app and close to 1,500 drivers there. “Since our relaunch in December, we’ve continued to see steady growth which has made us want to invest and become more a part of the Calgary community,” Kar said at a news conference. Uber originally launched in Calgary in 2015. Two months after it started, a Court of Queen's Bench judge granted the city a temporary injunction to stop it from driving until the city established new bylaws governing ride-sharing. Kar had previously been the general manager of Uber Alberta.